Posted by Pam in KC in Oklahoma Backroads, Stash Busting Report. Oklahoma Backroads is now bound. Unfortunately that 20″ of red fabric I used for the binding no where near offsets the fabric which was purchased this week — and I was also given some fabric which I haven’t counted yet. 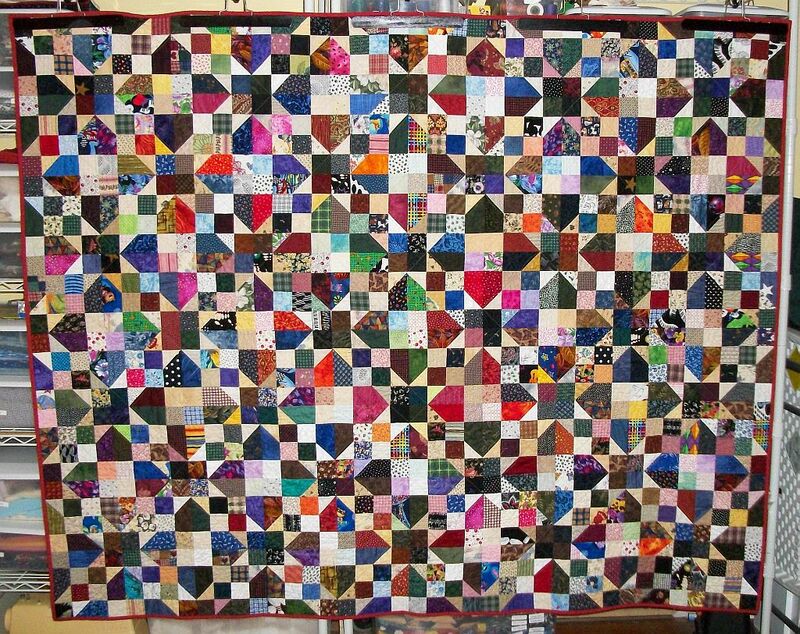 I can’t even explain it all – except to say that when I’m traveling I never pass an open quilt shop and I found one with a pre-inventory sale going on. Clearly I’m going to have to get on the ball and get some backings pieced — or something to get my numbers down. 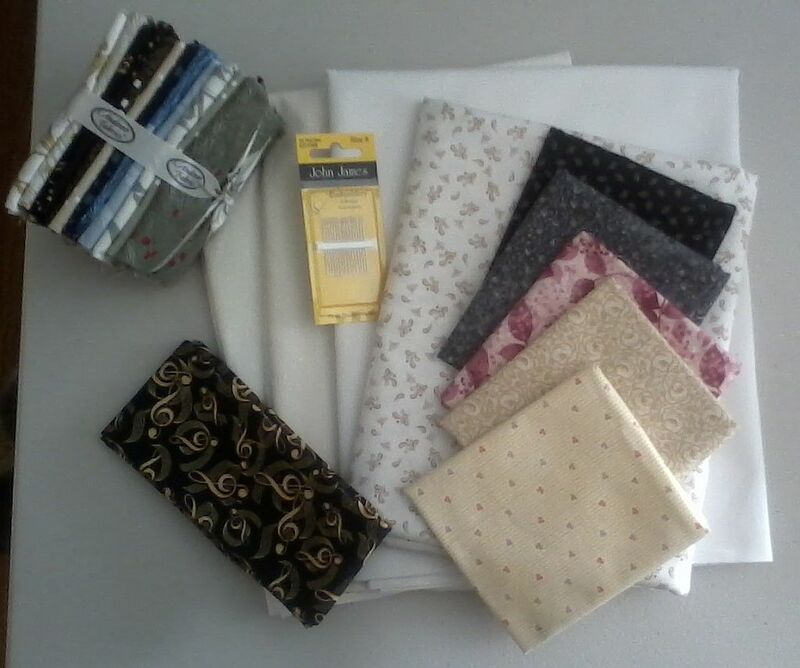 Check out how others are doing over with their Stash Busting efforts over at Patchwork Times. Great purchases – it is hard to pass up a good sale as well as a store while traveling. Who can pass up an opportunity to visit a shop while traveling???? I agree, when you travel you might never get back to that quilt shop so enjoy. 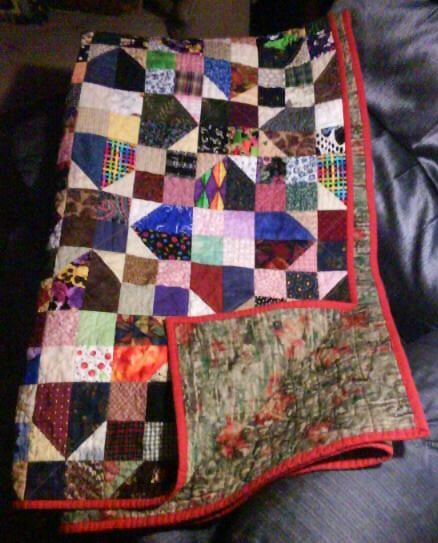 love the quilt – it is gorgeous, and it’s done! Will you keep it or gift it?